This section introduces the individual protagonists of the Transatlantic Perspectives project. Since transatlantic migrants served as agents of multidirectional exchanges and cultural transfers, their biographies constitute a major focus of the project. Rather than being comprehensive, this collection of short biographies consists of a sample of migrants, exemplary for their roles in transatlantic exchanges in several fields and professions throughout the postwar era, but particularly in our four research areas of business, consumer culture, urban development, and the social sciences. In contrast to traditional biographical entries, this section not only provides information on an individual’s life and career, but also identifies his or her roles in transatlantic exchanges and transfers of ideas, concepts, or methodologies. The essays aim to reveal the specific roles of the migrants as nodes of transatlantic networks, carriers of multidirectional exchanges, and vocal contributors to discussions of Europe. What the individuals portrayed on this website have in common, despite their various backgrounds and varied careers, is their significance for exchanges between Europe and the United States. The sample includes a large number of émigrés who escaped from fascist and National Socialist Europe in the 1930s and early 1940s and eventually settled in the United States. Several of the exiles, such as Thomas Mann and Gaetano Salvemini, became prominent voices of an exiled “other Europe” in the United States, critiquing political developments in their home countries and shaping U.S. perspectives on wartime Europe. Others moved between Europe and the United States as migrant professionals helping to re-build business connections after World War II. German managers like Carl Hahn, for example, were sent to the United States for limited periods of time by companies intending to enter the American market. Not all were forced migrants, and we also include European immigrants to the United States who were neither persecuted elites nor career migrants sent abroad, but, like the designer Raymond Loewy, came to the United States for a variety of economic and personal reasons. This latter group is part of the ongoing stream of European immigrants to the United States who, as individuals, have at times been invisible compared to well-known or prominent émigrés. They, too, frequently stayed in contact with their families and friends in their countries of origin and communicated their perceptions of Europe and the United States. Thus, their roles in transfers and exchanges are meaningful to our project as well. Despite their often diverse backgrounds, most of the individuals featured here can in some way or another be characterized as elite migrants, with a high level of education, professional connections, and other forms of social capital. The rise of Nazism and Fascism, as well as the outbreak of World War II and the subsequent massive dispersion of social and intellectual elites from Europe, gave rise to a rich tradition of historical scholarship on elite migration. Early publications from the late 1960s as well as much of the work of the following decades concentrated on the two sides “the brain drain,” i.e., the loss of intellectual expertise and leadership in Nazi-occupied Europe and the émigrés’ contributions to professional, technological, and academic achievements in the United States. This wave of migration and the intellectual transfers it encompassed had significant ramifications for the second half of the twentieth century, our project’s main period of interest. The migrants and their professional legacies suggest that transatlantic transfers remained multi-directional even at the height of the postwar “American Century.” Market researchers such as Ernest Dichter and commercial designers like Herbert Bayer helped shape America’s postwar consumer culture. 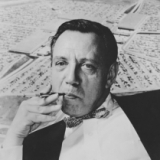 Architects and urban planners like Oscar Stonorov and Ludwig Hilbersheimer contributed to the transformation of American cities. 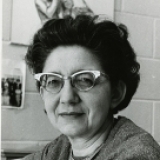 In the social sciences, as in many academic fields, émigrés such as Gisela Konopka helped lay the ground-work for new research and professional work. 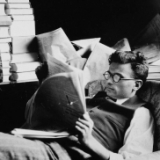 Rather than representing a brain drain, their continued connections to postwar Europe make them part of a vigorous transfer and circulation of knowledge that bridged the interwar and postwar periods. We aim to contextualize the émigrés of the middle of twentieth century within a longer perspective of transatlantic migration and exchange. Large-scale migration was not a new phenomenon of the mid-twentieth century, but had long been a vital aspect of American and European history. To some degree the scholarly work on the experiences of prominent European expellees still needs to be integrated into the burgeoning scholarship on the transatlantic and global history of migration patterns. Compared to the migration of the nineteenth and the first part of the twentieth centuries, we know less about transatlantic migration after World War II. Furthermore, most of the research has concentrated on the process of leaving and settling someplace new, which rarely conveys the whole story. Migration processes are more complicated than simple moves from point A to point B, and the biographies in this section illustrate this well. Some of the migrants moved back to their home countries, or to a different European country; others relocated several times within the United States or returned to Europe for several shorter stays. A few of the migrants included here, such as the urban planner James Marshall Miller also represent vectors going in the opposite direction. They were Americans who spent part of their careers in Europe, but were equally part of professional networks of transfer and exchange. Therefore, these biographies, once analyzed and put in context, will contribute to a better understanding of both transatlantic migration patterns after WWII and the complexities of migration processes. Cold War America and its outlook on the postwar world were significantly influenced by a large number of elite migrants. In American immigration studies, ideas of assimilation and the powerful metaphor of the melting pot have dominated for many decades. It has become clear, however, that these notions entail a simplistic model of adaptation that does not sufficiently capture the complexities of real migration experiences. Scholars have attempted to address this complexity with the concept of acculturation, for example. Acculturation provides a wider perspective, including an understanding of migrants as active agents, who not only adapt to the new circumstances, but actively modify them in the process. In other words, coming to America changed European and other immigrants, but in the process they contributed to transformations in American society and culture as well. 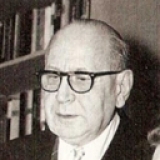 Cold War politics, for example, were shaped by émigré intellectuals like Hans Speier in America’s emerging security state and by others who contributed to American understandings of “totalitarianism” at the time. Numerous refugees from Eastern Europe not only influenced the field of “Sovietology” (e.g. Michael Karpovich), but, like Petr Zenkl, were integral in voicing a vision for a free Europe within the transatlantic world. As returning migrants, finally, émigrés such as Ernst Fraenkel and Hans Hirscheld helped build ties between the U.S. and postwar Western Europe during the Cold War. Beyond a somewhat narrow perspective on transatlantic exchanges, the sample suggests that migrants helped promote a broader, international outlook in many fields. One example is the development economist Albert O. Hirschman, who—like many of his fellow émigrés—became involved in international organizations that helped to shape the global economic order of the second half of the twentieth century. The careers and lives of the migrants portrayed in Transatlantic Perspectives often dovetail with recent and promising theoretical concepts in migration studies. In the process of widening the scope of migration studies, for example by employing transnational or global frameworks, historians have encountered forms of migration that go beyond the immigration-assimilation model. Transmigrants, for instance, are persons who do not merely leave their home, settle in a new place, and never look back. Instead, they are at home in two or more places at once, maintain strong ties to their homelands, go back and forth frequently, and play important roles in transnational networks. In this, they recall the experience of cosmopolitan elites of earlier eras, exemplified for example by the family of the wealthy banker Eric M. Warburg. The phenomenon of elite migrants as transnational facilitators was not new to the time period under consideration here, but their numbers grew over the course of the twentieth century. Their capacity as carriers of transnational transfers and exchange is at the core of our project and will be reflected in the biographies in this section. People who move between different geographical and social spaces are confronted with questions of identity, with finding new roles, and with new forms of self-understanding more frequently than those who remain stationary. Concepts of identity have been impacted as well by the scholarly shift away from the simple notion of migrant assimilation into a host society towards an acknowledgment of the complexities of migration experiences. Most students of migration history today recognize identities as social constructs that are not given or immutable, but change over time. For many European immigrants to the United States and especially their descendants during the postwar decades, national and ethnic identifications increasingly took on the character of “symbolic” identities which were consciously constructed and celebrated. Identities should not be thought of as unified and holistic, but rather as multi-layered and patched together. The concept of hybrid identities, for example, helps reveal migrants’ simultaneous belonging to several groups. Instead of leveling differences and subordinating their cultural and social heritage to a hegemonic identity, migrants negotiate a co-existence of multiple, sometimes even antagonistic, identities. Instead of entirely transitioning from being German or French to being American, for example, migrants often assume hybrid identities, such as German-American or European-American in addition to other forms of self-identification. A person could identify, for example, as a woman, Jewish, and German. A person’s profession and political convictions can add yet more pieces to his or her identity puzzle. Upon migration, these identities may change or the person may assume new ones. The project investigates how identities change as a consequence of migration and how the migrants reflect on and negotiate their identities. Transatlantic Perspectives is particularly interested in exploring the formation of European or European-American identities that transcended earlier national self-understandings in the second half of the twentieth century. Some historians have suggested that the emergence of European identities can be seen as a consequence of the migration experience. For immigrants to the United States, the experience of strangeness may have revealed more commonalities among Europeans than was previously the case when national differences prevailed in their perception. Thus, from a distance, Europe appeared more uniform than before. Recent scholarship has cautioned, however, that a European identity co-exists and overlaps with other identities rather than fully replacing them. This identification with Europe from afar leads us to inquire about the role of migrants in transnational discourses about Europeanization and Europe’s role in postwar transatlantic relations. Most of the migrants under consideration did not look back at Europe in a nostalgic way. They intently observed and were engaged in the developments after World War II. They communicated their views about Europe not only to American audiences but, as links between Europe and the United States, also to Europeans themselves. European self-perceptions in the second half of the twentieth century often relied on perceptions of the United States for comparison. Our migrants will help reveal how, in the much-heralded era of Americanization, processes of Europeanization emerged, not only in Europe but also on the other side of the Atlantic. Each of the following entries provides a brief overview of the individual’s transatlantic biography, covering aspects such as place of origin, social/cultural/political/religious/ethnic background, time and path of emigration, trips back to Europe, cities of residence, training, work experience, institutional affiliations, and personal and professional networks. Brief analytical assessments of the migrants’ ties across the Atlantic will suggest the individuals’ significance for the Transatlantic Perspectives project. As a resource and point of departure for further research, each biographical entry is supplemented with a small selected bibliography (if available) and some selected publications. As far as we are aware of archival collections on these individuals, we provide links to these collections as well as to finding aids. If you know of further archives holding pertinent material, please let us know! We use the term “émigré” to denote scholars and professionals who the National Socialists expelled from their home countries. See for example Laura Fermi, Illustrious Immigrants: The Intellectual Migration from Europe, 1930/41 (Chicago: University of Chicago Press, 1968); Donald Fleming and Bernard Bailyn, eds., The Intellectual Migration: Europe and America, 1939-1960 (Cambridge: Belknap Press of University of Harvard Press, 1969); Werner Röder et al., Biographisches Handbuch der deutschsprachigen Emigration nach 1933 (München: Saur, 1980-1983); Claus-Dieter Krohn, Patrick von zur Mühlen, Gerhard Paul, and Lutz Winckler, eds., Handbuch der deutschsprachigen Emigration 1933-1945 (Darmstadt: Primus, 1998); Mitchell Ash and Alfons Söllner, eds., Forced Migration and Scientific Change: Emigré German-Speaking Scientists and Scholars after 1933 (New York: Cambridge University Press, 1996); Marion Deshmukh, “The Visual Arts and Cultural Migration in the 1930s and 1940s: A Literature Review,” Central European History 41 (2008): 569-604. Recent scholarship has critiqued the notion of linearity suggested by the term “brain drain” and “brain circulation” has been proposed as a more appropriate alternative. See Dittmar Dahlmann and Reinhold Reith, eds., Elitenwanderung und Wissenstransfer im 19. Und 20. Jahrhundert, (Essen: Klartext, 2008). See for example Klaus Bade, Migration in European History (Oxford: Blackwell, 2003); Dirk Hoerder, Cultures in Contact: World Migrations in the Second Millenium (Durham, NC: Duke University Press, 2002); Patrick Manning, Migration in World History (London: Routledge, 2004); Christiane Harzig and Dirk Hoerder (with Donna Gabaccia), What is Migration History? (Cambridge: Polity Press, 2009); Leslie Page Moch, Moving Europeans: Migration in European History since 1650 (Bloomington: Indiana University Press, 1992). Jochen Oltmer pointed out that migration in the second half of the twentieth century and return migration are still insufficiently understood. Jochen Oltmer, Migration im 19. und 20. Jahrhundert (München: Oldenbourg, 2010), 74-5. For a similar conclusion concerning complex migration movements see Tobias Brinkmann, “Taking the Global View: Reconsidering Migration History after 1800,” Neue Politische Literatur 2 (2010): 213-232. For an example from the history of science see Mitchell Ash, “Emigré Psychologists after 1933: The Cultural Coding of Scientific and Professional Practices,” in Forced Migration and Scientific Change: Emigré German-Speaking Scientists and Scholars after 1933, ed. Mitchell Ash and Alfons Söllner (New York: Cambridge University Press, 1996), 117-138. Nina Glick Schiller, Linda Basch, and Cristina Szanton Blanc, "From Immigrant to Transmigrant: Theorizing Transnational Migration," Anthropological Quarterly 68 (1995): 48-63; Alejandro Portes, “Globalization from Below: The Rise of Transnational Communities,” in The Ends of Globalization: Bringing Society Back In, ed. Don Kalb, et al. (Lanham, MD: Rowman & Littlefield Publishers, 2000), 253-270. While the concept of identity has been challenged by several historians on methodological grounds, we employ the term – with due caution – for lack of a viable alternative. Rodgers Brubaker and Frederick Cooper, “Beyond ‘Identity,’” Theory and Society 29 (2000): 1-47; Lutz Niethammer, Kollektive Identität: Heimliche Quellen einer unheimlichen Konjunktur (Reinbeck bei Hamburg: Rowohlt, 2000). On the concept of symbolic ethnic identity see Herbert Gans, “Symbolic Ethnicity: The Future of Ethnic Groups and Cultures in America,” Ethnic and Racial Studies 2 (1979): 1-20. For a more recent and related approach see Mary Waters, Ethnic Options: Choosing Identities in America (Berkeley and Los Angeles: University of California Press, 1990). On the appropriation of hybridity concepts in recent writings on the emigration experience see Claus-Dieter Krohn, “Differenz oder Distanz? Hybriditätsdiskurse deutscher refugee scholars im New York der 1930er Jahre,” in Exil, Entwurzelung, Identität, ed. Claus-Dieter Krohn, Erwin Rothermund, and Lutz Winckler (München: Edition Text + Kritik, 2009), 20-39. See esp. Hartmut Kaelble, Europäer über Europa: Die Entstehung des europäischen Selbstverständnisses im 19. und 20. Jahrhundert (Frankfurt a.M.: Campus, 2001); Alexander Schmidt-Gernig, Amerika erfahren – Europa entdecken: Zum Vergleich der Gesellschaften in europäischen Reiseberichten des 20. Jahrhunderts (Berlin: edition q, 1999). Hartmut Kaelbe, Martin Krisch, Alexander Schmidt-Gernig, eds., Transnationale Öffentlichkeiten und Identitäten im 20. Jahrhundert (Frankfurt a.M.: Campus, 2002).